Sansa is not here to play. Sophie Turner is the latest star to come to Finn Wolfhard's defense after the 14-year-old Stranger Things actor was called out for not greeting fans outside his hotel. In a series of tweets shared on Monday, Sophie, who has grown up in the spotlight playing Sansa Stark on Game of Thrones since 2011, says fans need to be reminded that actors like Finn and herself are "kids first" and child actors need space "to grow without feeling like they owe anyone anything for living their childhood dreams." She also noted that this sort of behavior needs to stop, especially when photos are involved. Bottom line, according to Sophie: Fans have no right to lash out at child actors when they don't stop for a photo with an adult stranger. 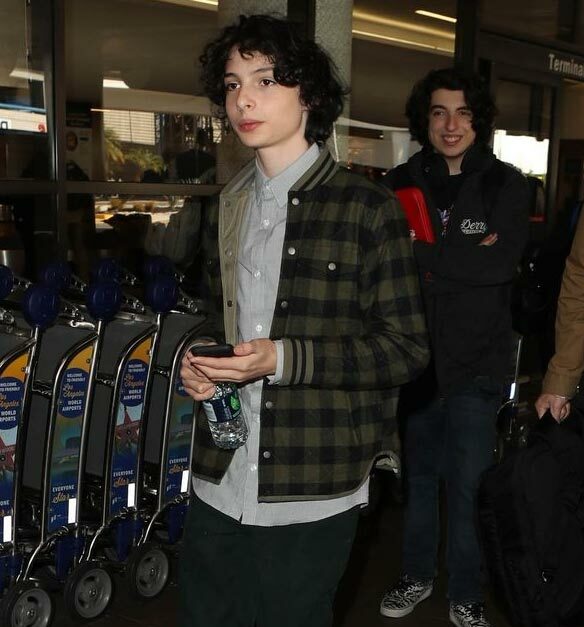 Earlier this month, Finn, who plays Mike Wheeler on the show, was accused of being "heartless" and "so rude" after heading from his ride to his hotel. The tweet and accompanying video, which have since been deleted, also show Finn saying, "Hi." Following the unnecessary outrage, Shannon Purser, who played Barb, took to Twitter to defend her former co-star's kindness and confirm that he is in fact "human and he needs breaks too." Noah Schnapp, who plays Will Byers on the show, also showed his support for Finn. Shannon went on to explain that she too has experienced this sort of fan behavior, but on a "significantly smaller scale." 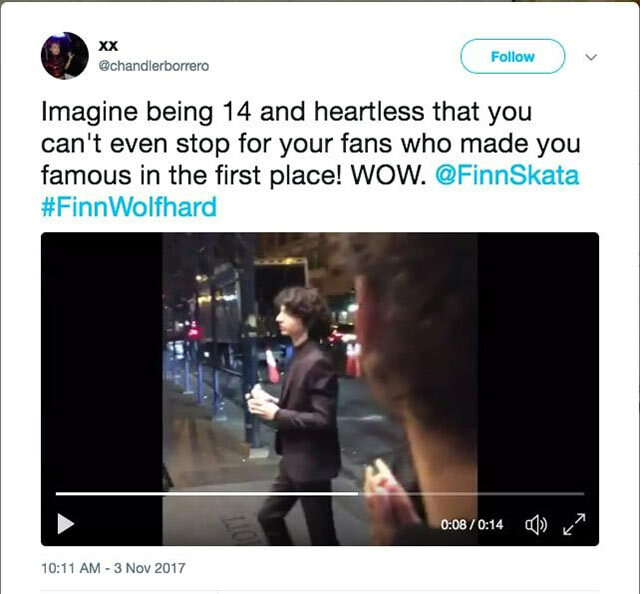 Finn has since taken to Twitter to comment on his fans and fans of the show.